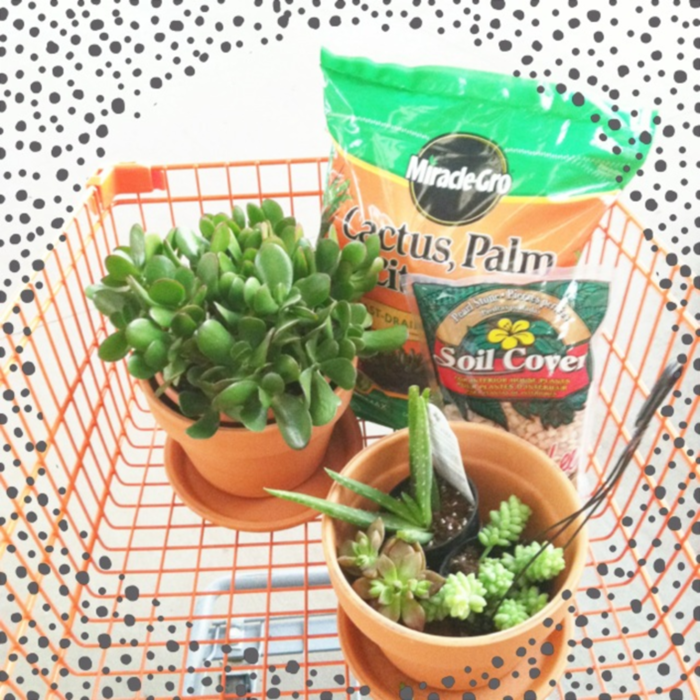 Have you seen succulent gardens popping up all over the place lately? Yeah, me too. And I wanted one. I don’t know if you’ve heard of this thing called an “indoor plant black thumb”, but that’s my deal. I can do outdoor gardens: rain and a few supplemental runs of the sprinkler. But indoor plants? Nope. Poor things are doomed the second they step in the door. the worst thing you can do to a succulent is over water it! 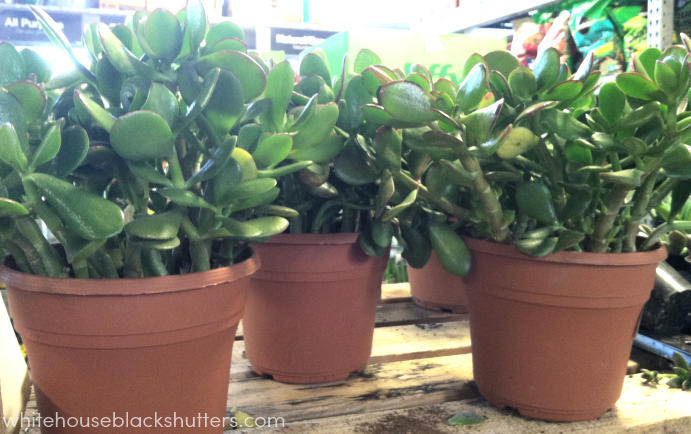 It depends on the plant but you will want to let your succulents completely dry out before moistening the water. Some only require an eyedropper full of water. Now I know why our poor aloe vera plant died, I was practically drowning it. 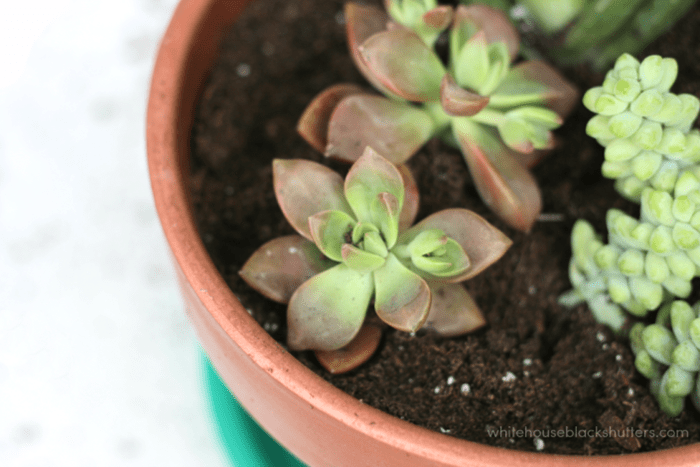 After taking notes at the workshop, Tim helped me gather the supplies I needed to build my own succulent garden: a pot that’s not too deep, this special succulent soil mix, and plants. I always thought you needed rocks for the bottom, but he said no, the soil will fill in those rocks over time. Just make sure your pot has proper drainage. 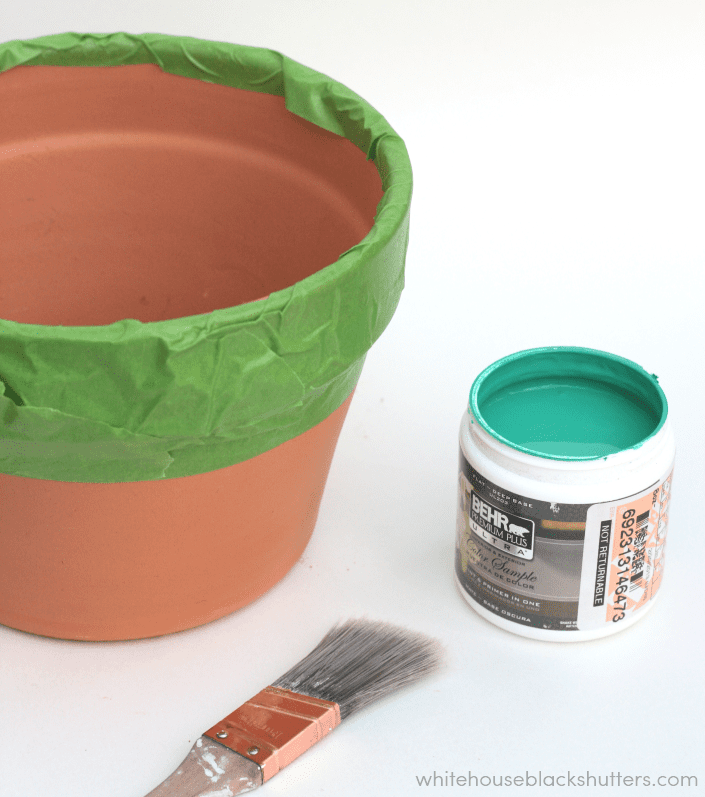 Before painting your pot, be sure to seal it good. Even if you’re not keeping it outside, you don’t moisture from the dirt seeping into the pot. I used Thompson’s Water Seal spray. 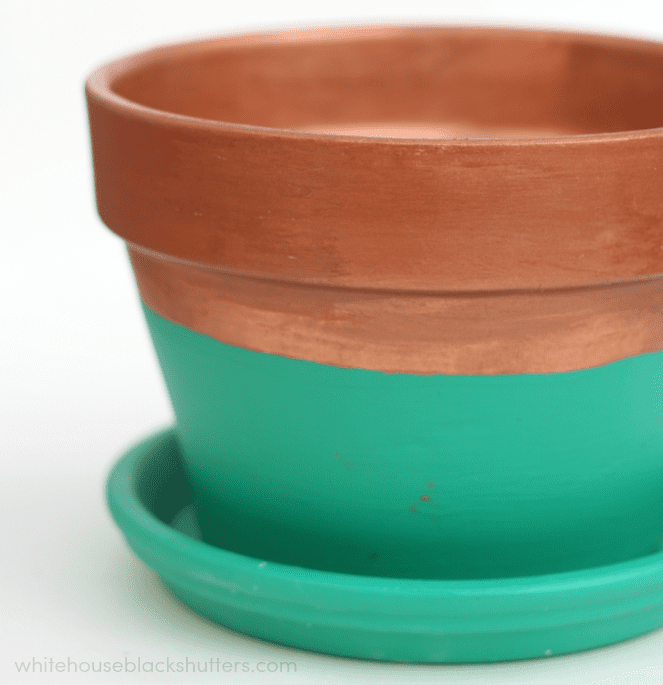 To create a color blocked look, tape your pot and paint. I used a sample size of Behr Festive Green, it’s the perfect emerald color. But to tell you the truth, if you have a steady hand you don’t even need the tape. After the emerald dried, I painted the top with copper craft paint and a steady hand. Paint the inside lip, let dry, and then plant. When planting a container garden you want three things: a thriller, a filler, and a spiller. The same applies to a succulent garden! The thriller adds height or drama, the filler is a bit more wide and fills things out, and the spiller is a plant that has movement and will eventually spill out of the piece. I’ve labeled mine in the picture below. Look for plants with fun texture, contrasting colors, and odd numbers tend to look better. But it’s your garden, do what you want and have fun! You can see the full list of Home Depot’s upcoming workshops here. Their next Do-It-Herself workshop is on building an adirondack chair! 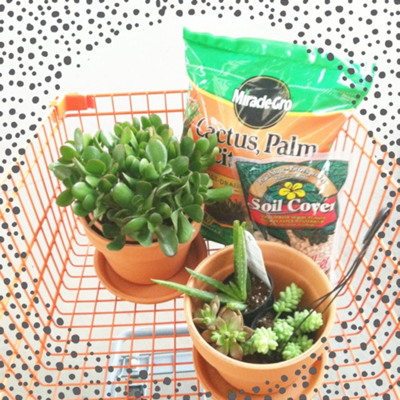 Have you ever planted succulents? This post is brought to you by The Home Depot, click here to learn more. 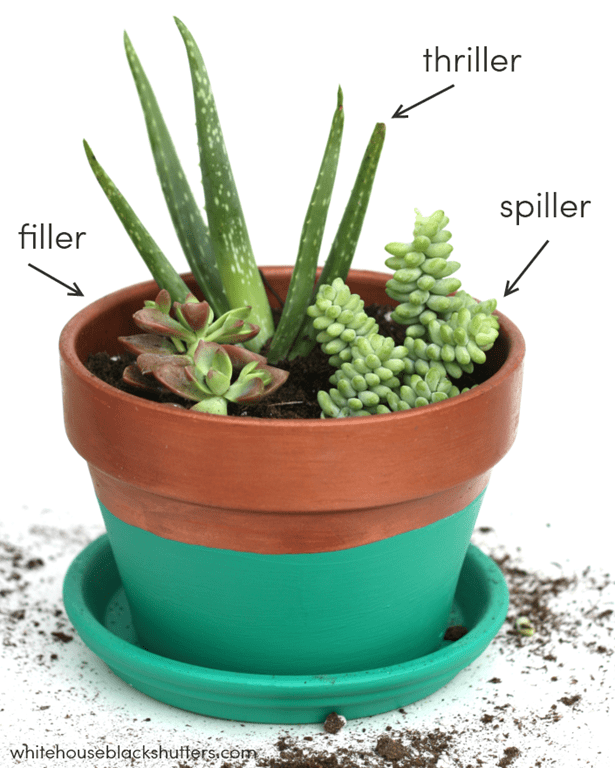 I’m wanting to make my first succulent garden so I am curious, did you put anything over the drainage hole to prevent the soil from falling out? I’ve always been curious if you need rocks or if it’ll just harden when dried out! I didn’t add any rocks to this pot or any of my succulents, just soil. If you look at the pictures, this has a little bottom dish to hold the dirt/excess water that can spill out. 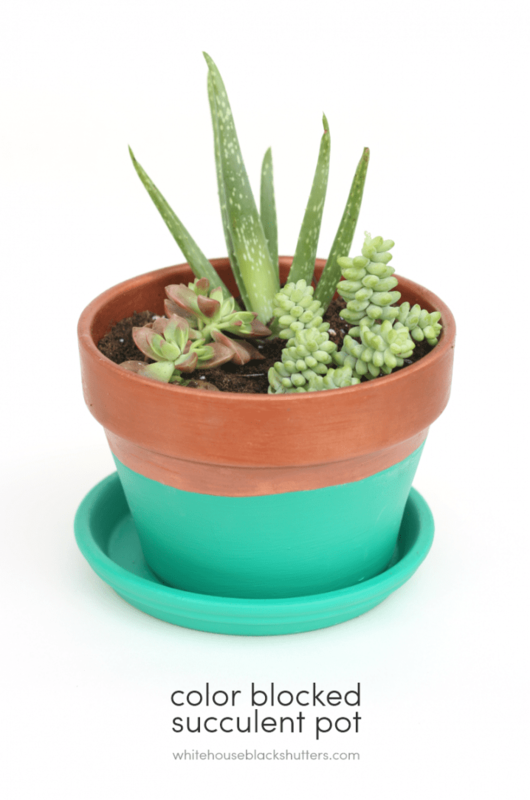 You can also use a pot without a drainage hole, depending on the plant. You may have to be more precise with waterings. This is super cute! I don’t have any succulents yet, but I’ve definitely thought about getting some. Thanks for the tips! I totally have a brown thumb when it comes to plants that enter my house too! 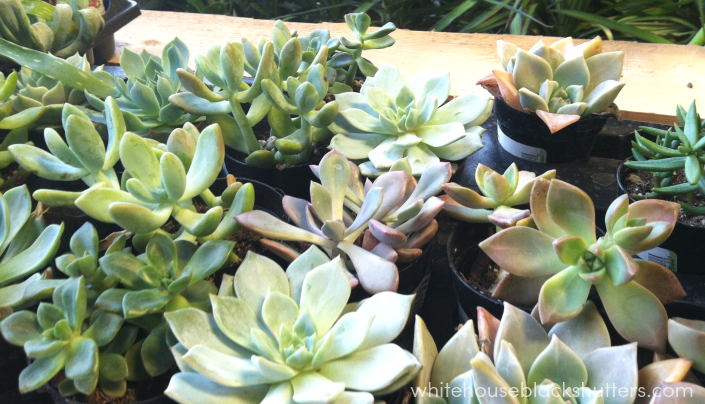 I tried some succulents last year and they died, of course, because I watered them TOO much. Once I figured out the trick of not really watering them at all, I’ve never had any plants that were SO easy to take care of! I love the color you used on the pot! 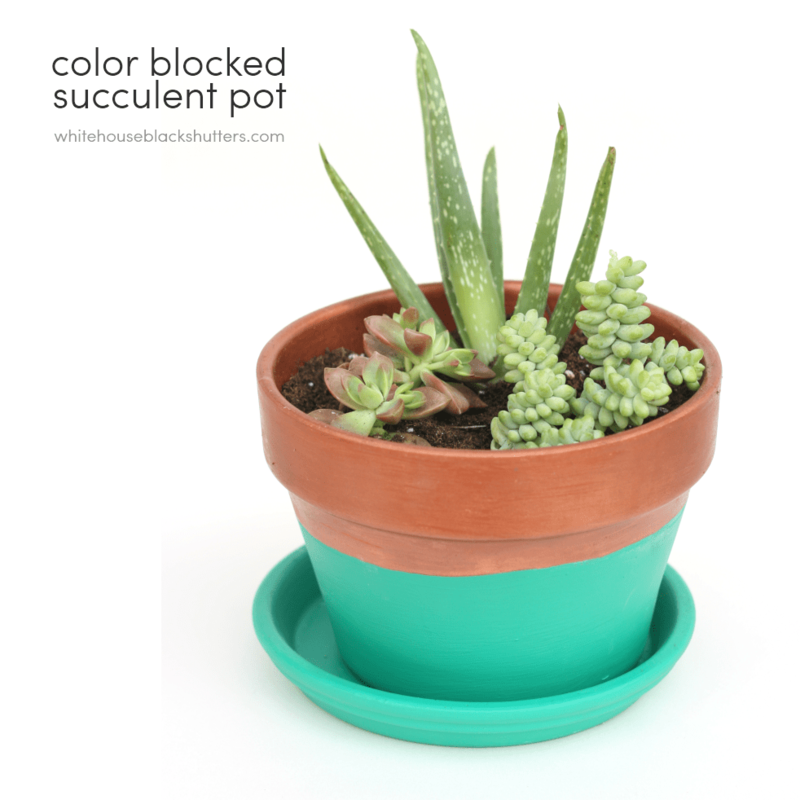 Love the color blocked pot! I’ve been thinking about getting some succulents too, but I kill all plants. I cannot keep them alive. I’ve had an orchid for about a month now and that’s a record for me so maybe I’m ready to move onto succulents! Your succulent pot turned out beautiful, thanks for posting your planting tips too! super cuteness – love the color and succulents are amazingly easy to care for (I have a pot outside that I never take in – even in the winter, and I never water it and it thrives)! 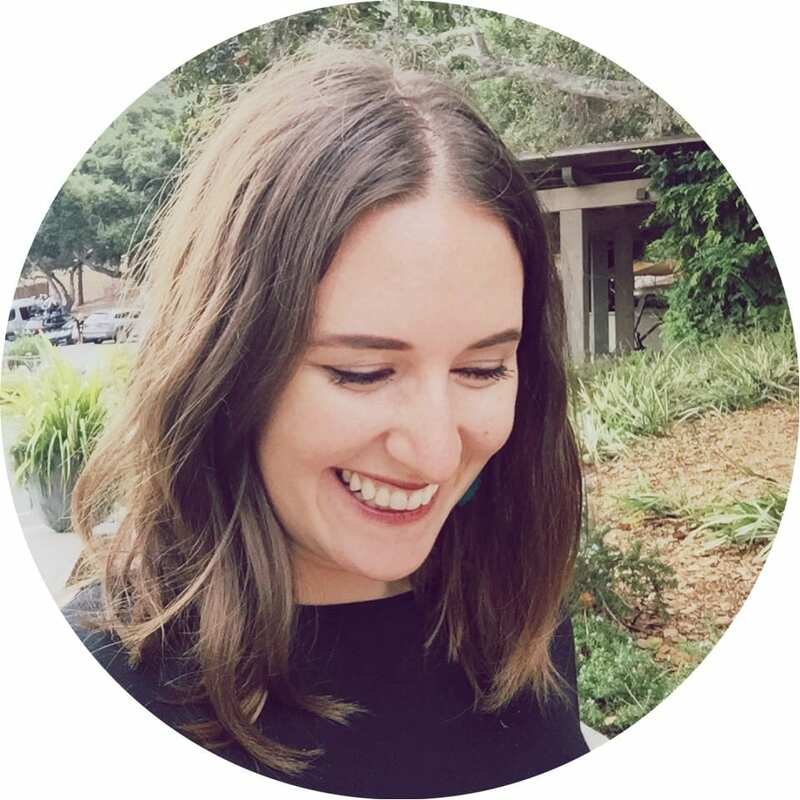 This is really good info Ann Marie – thanks!! hi, Tim! 🙂 Glad you were able to see how it turned out. Thanks for all of your help! I have a feeling I will be back at the store to make more for other rooms, they were a lot easier than I thought! I bought some fillers, spillers, and thrillers the other day…I had no idea they had funny names, lol. I loooove succulents. This is a great post! I’ve done the gold-dipped thing, but never the color-blocking. I also love how you have the “spiller”, the “thriller” and the “filler”. I just bought my succulents willy-nilly without any forethought. I ended up with the slow-grower, the even-slower-grower, and the hyper-active-look-at-me-look-at-me! Not exactly balanced – whoopsie! oh fun! I love succulents but didn’t know that much about them, thanks! Glad you thought it was informative! I sure learned more than I thought I would from the workshop. Love that shade of emerald! It’s beautiful.